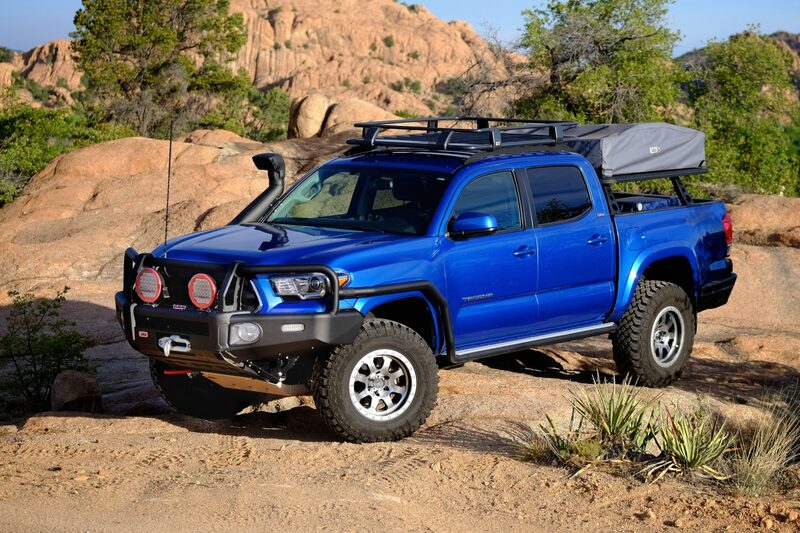 The Toyota Tacoma has always been a popular truck. I had one and I’m about as far from a truck guy as it gets. Many things help make it such a solid choice, the reliability and capability being the primary drivers. 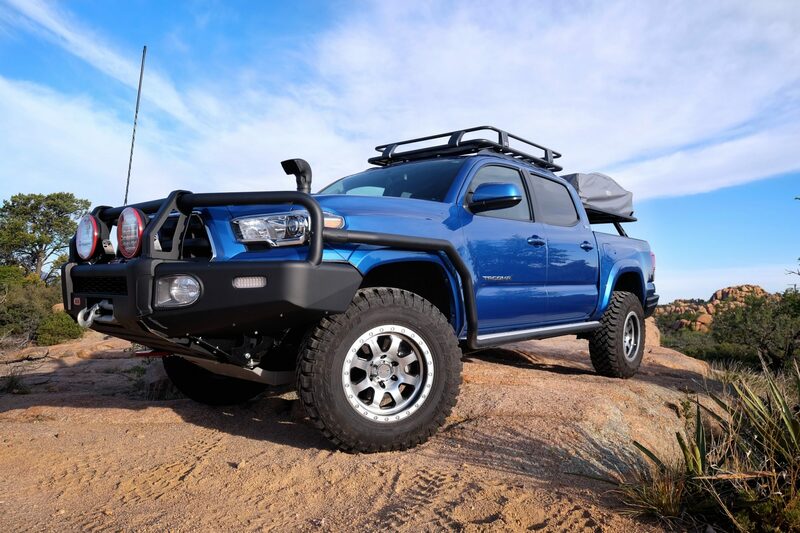 For those with an inclination to modify their rigs, the Tacoma also enjoys more aftermarket support than most vehicles, with companies like ARB offering Taco owners a one-stop-shop for products designed to make an already great truck that much better. This was a big year for the Tacoma. 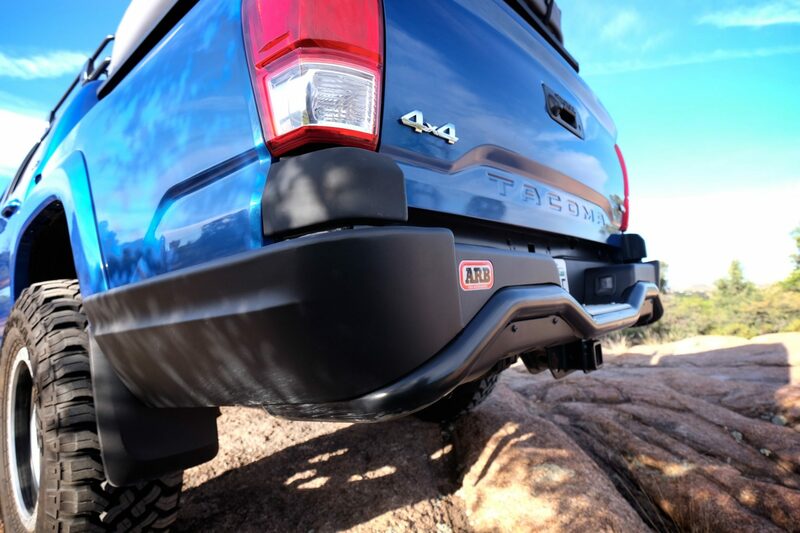 Not just because the 2016 model started to hit the road in big numbers, but because a handful of new Tacoma products in the ARB catalog simultaneously made it to production. 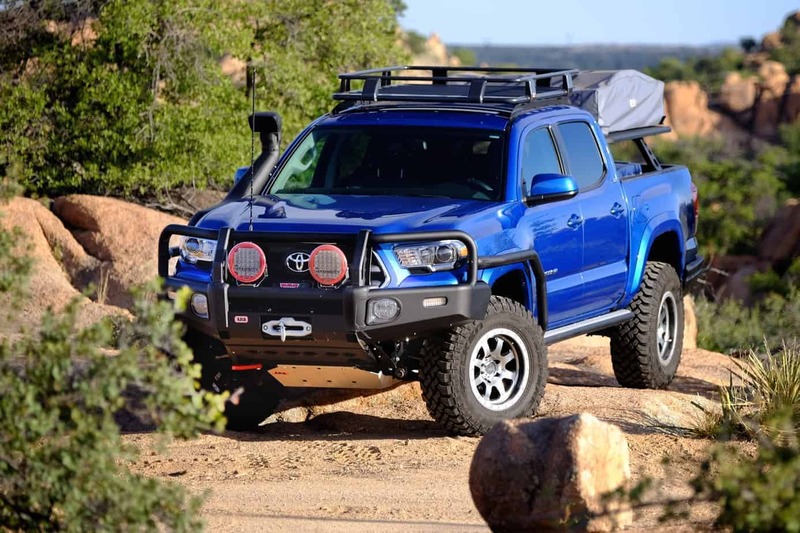 We recently had a chance to spend some time with ARB’s flagship Taco and it made me want to be a truck guy again, with a strong inclination to be a Tacoma guy. One of the biggest announcements from ARB last year was the arrival of their new BP-51 shock system. I had the pleasure to use the new BP-51s under a diesel-powered 200 Series Land Cruiser while bouncing down the roads of Alaska and Canada just as winter gripped the north. That particular set of shocks, a pre-production test set, had already been heavily abused in the Australian Outback long before I got them. They were properly punished but still incredibly proficient at attenuating rough roads while lugging around a brutish truck dragging a heavy trailer. 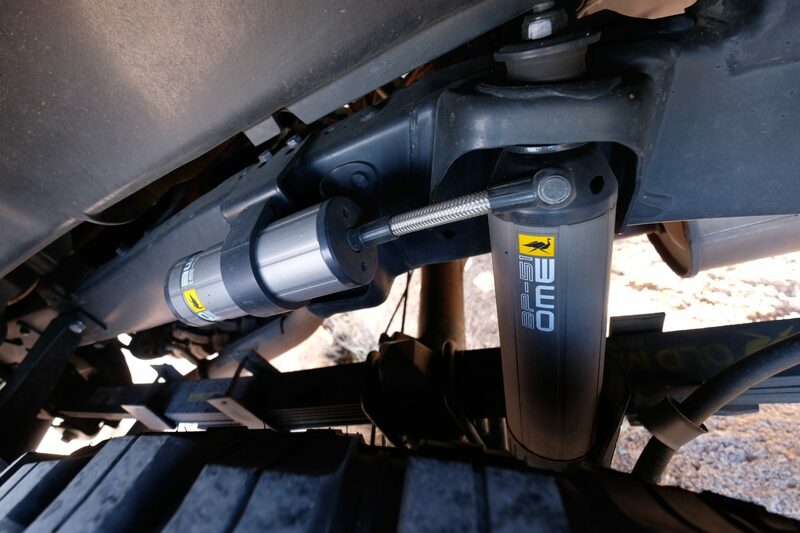 The ARB Tacoma makes equally good use of the BP-51 shocks, their external adjustments dialed in to properly tune compression and rebound damping. 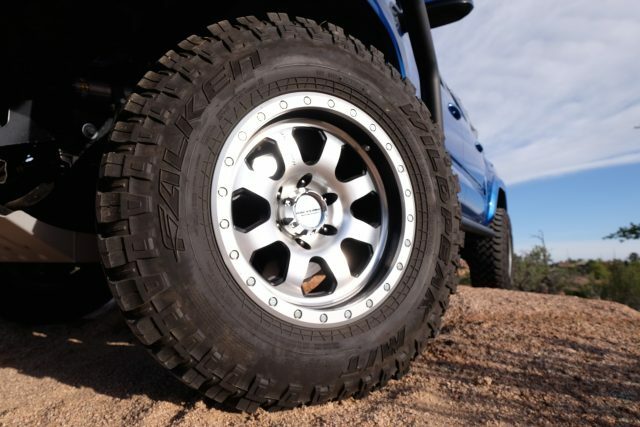 Adding to the strong foundation of the ARB Taco are Falken Wild Peak M/T tires on Raceline Avenger wheels. It’s a sharp looking package and well suited to this Tacoma’s intended purpose as a long-haul touring platform. 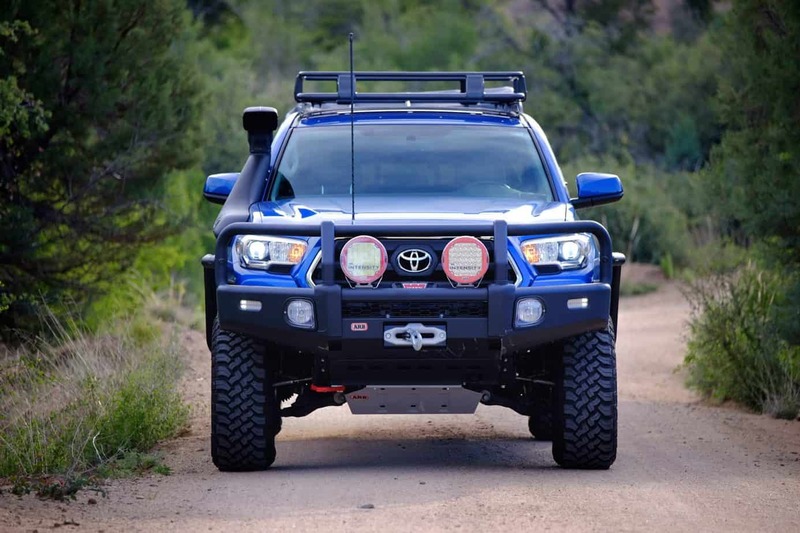 The most prominent accessory is obviously the ARB Summit bar bumper system, As vehicles have become more complex, particularly on the pointy end, so too have aftermarket bumpers. 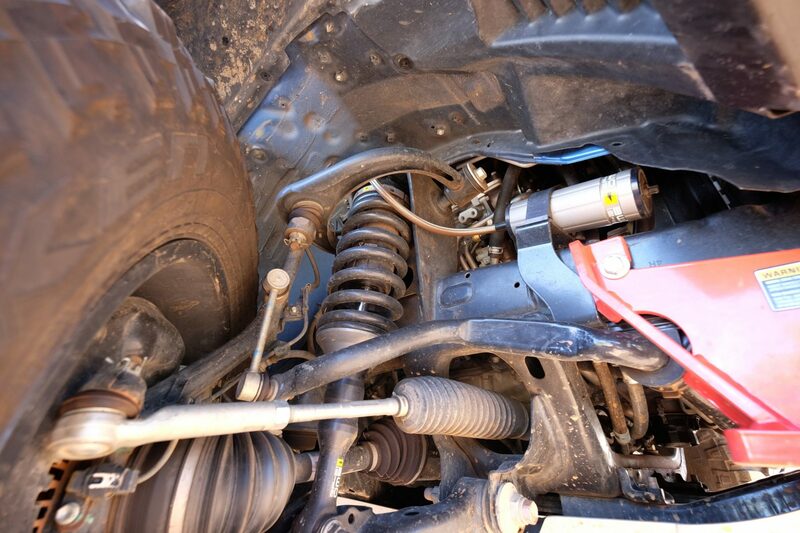 It was no small task to get a protective hunk of metal to interface seamlessly with the Tacoma’s many-faceted front. To get the desired aesthetic and functionality, a portion of the factory fascia had to be left in place, the ARB bumper integrated within it, to achieve the ideal results. All of these efforts were compounded by the need to retain the efficacy of the crush cans, airbag sensors, and other high-tech components. 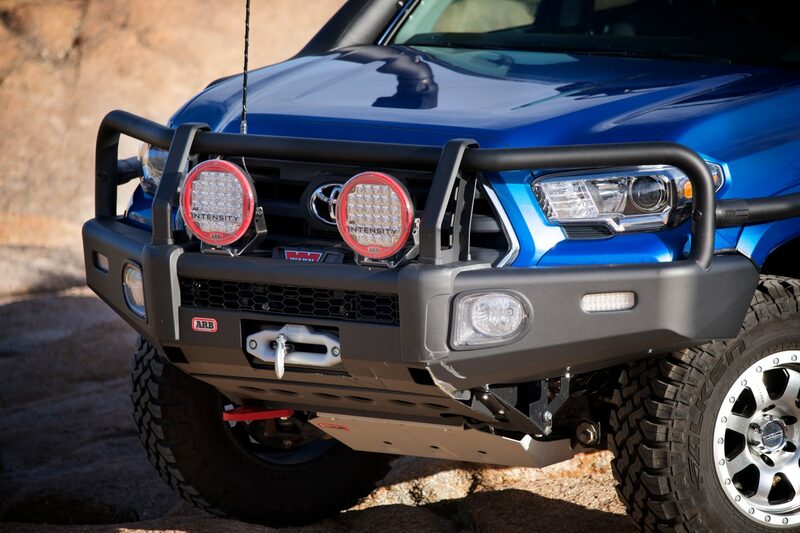 Although the bumper does give the Tacoma a rather pronounced jawline, the approach angles have not been egregiously disrupted. 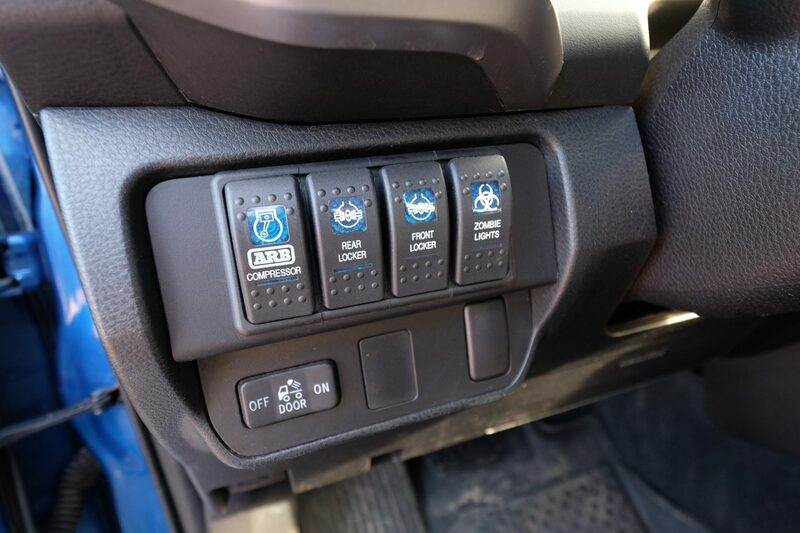 There’s a lot going on up front within the bumper including the Warn Xenon Platinum winch, ARB Intensity LED lights, and even an arial for the radio communications system. Additional accessory lights and LED turn indicators housed within the bumper add to an already clean and unfettered look. Here in North America we have a relatively small number of roos to pulverizing on the road, so our bumpers don’t suffer the use the native Aussie units do. 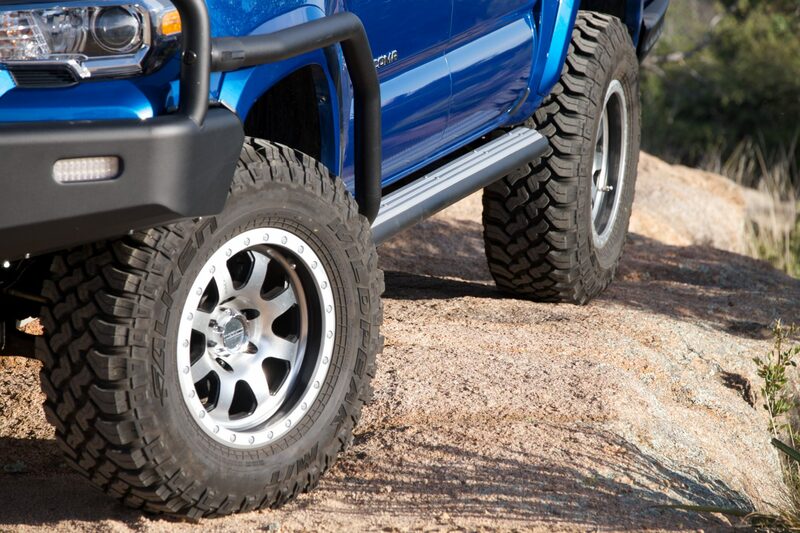 Because of that, we don’t see many side rails connected to the bull bar and side steps, but it looks appropriate on this Tacoma. 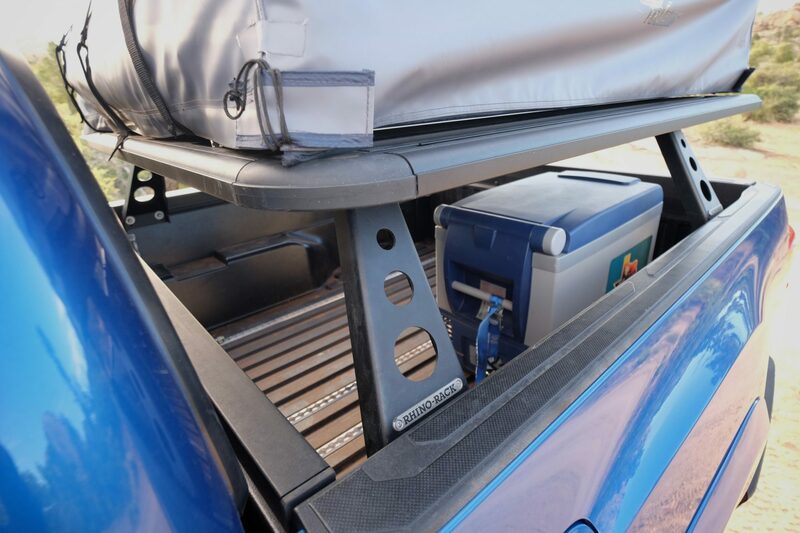 The side steps also afford easy access to ARB’s own roof rack which is hard mounted to the factory roof attachment points. 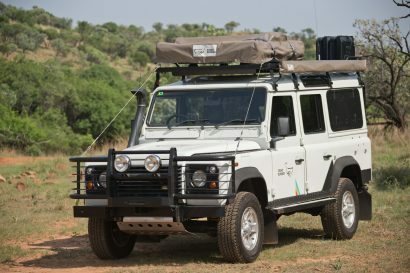 Other external appointments include an ARB Armax snorkel, ARB roof top tent mounted atop a Rhino Rack bed rack, and ARB’s own rear bumper. 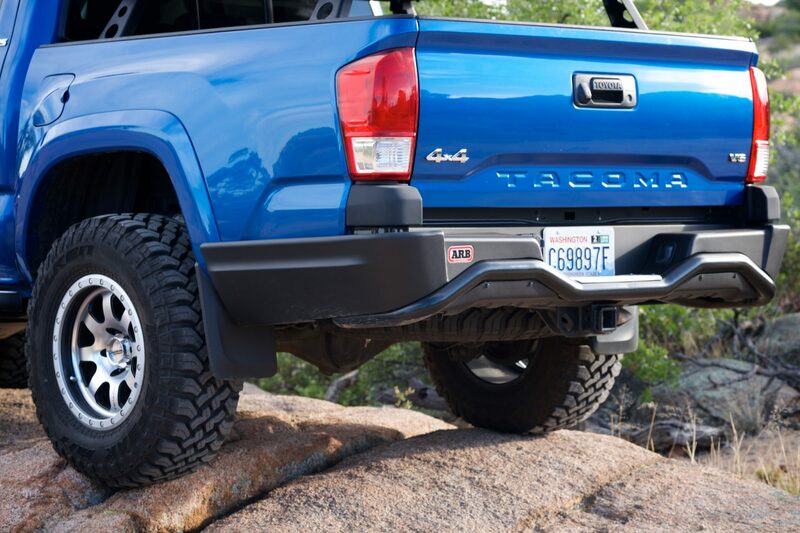 For such a comprehensive collection of accessories, the Tacoma looks prepared but not overbuilt. 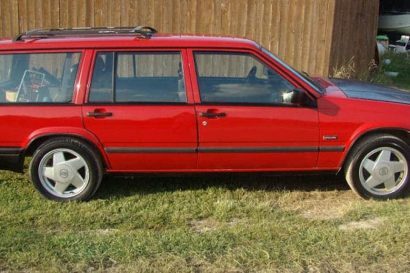 Better still, ARB gave ample consideration to the weight of the external components and the weight of the entire assemblage is barely noticeable when driving at high or low speeds. As handsome as the truck is, its beauty is not skin deep. 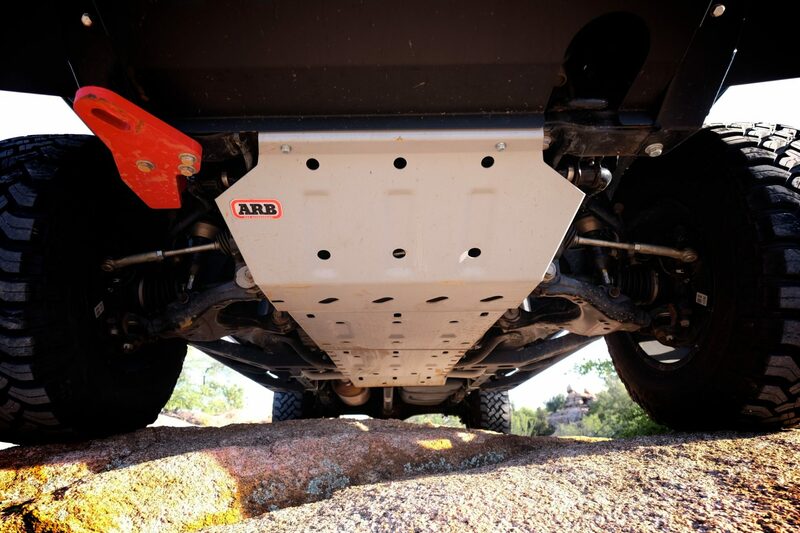 Hidden within are more ARB accessories to bolster the already superb off-road proficiency of the platform. 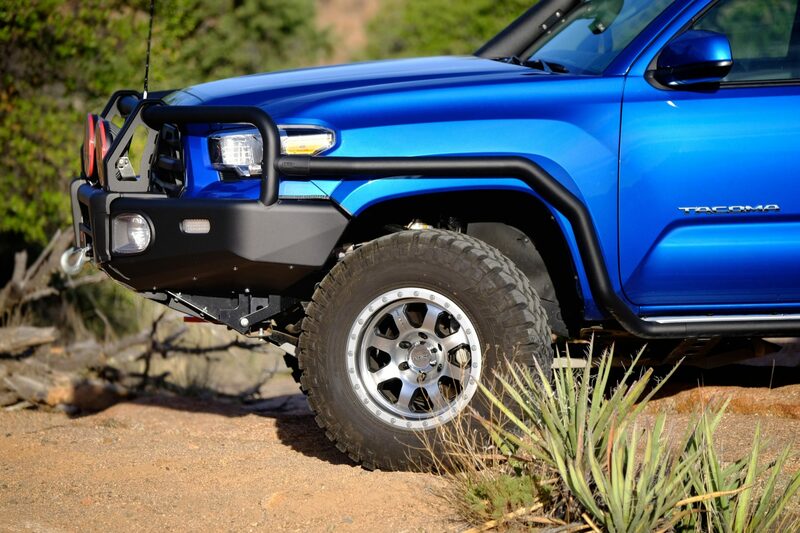 No ARB truck is complete without one of the brand’s famous compressors, and this Tacoma is no exception. 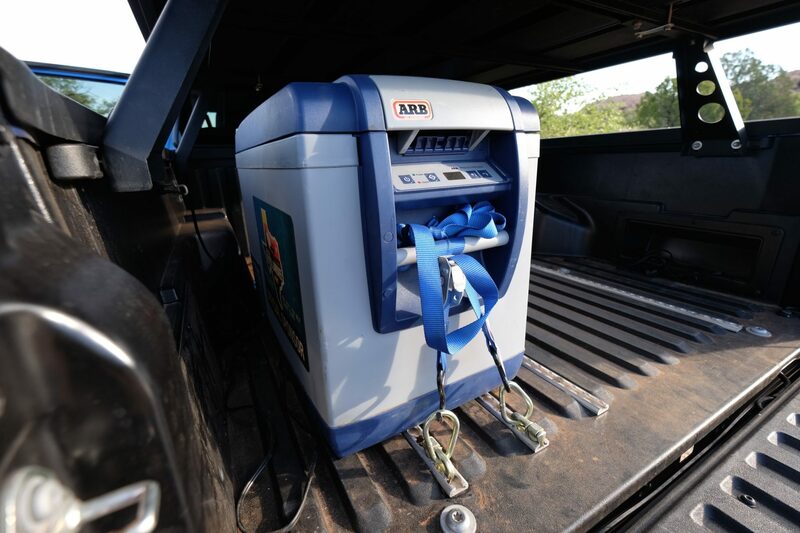 That pumper is integral to the operation of the front and rear ARB lockers. Those pieces are actuated with the famous switches everyone wishes they had on their Tacoma dash. 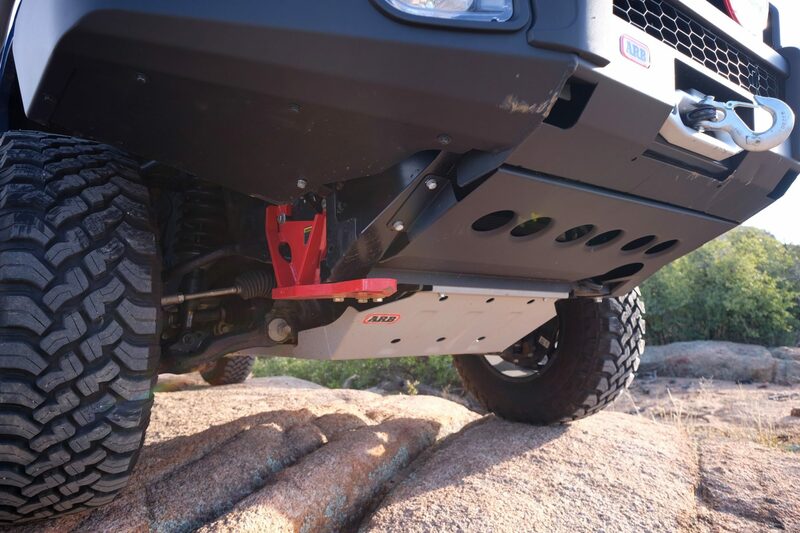 When the going gets really rough, a full complement of skid plates run the length of the chassis from just forward of the front wheels, all the way to the rear differential. 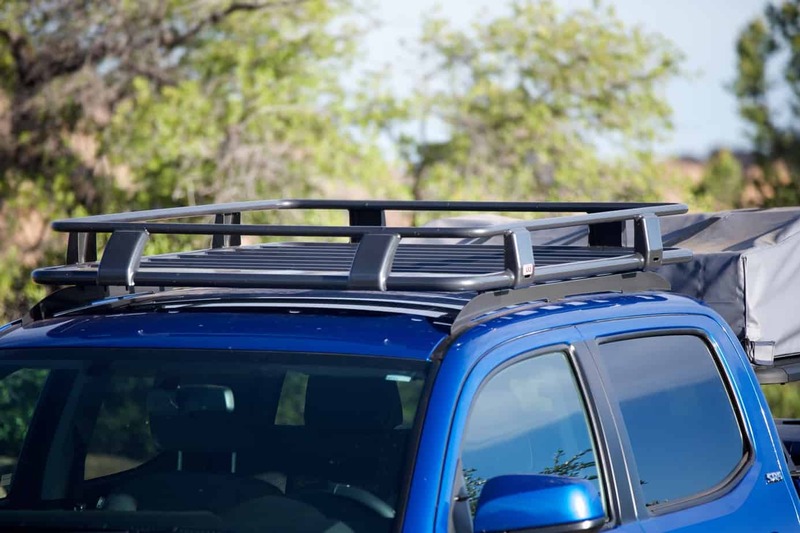 Over the last few years we have noticed an interesting phenomenon with the popularity of the Tacoma and how it is modified for personal needs. Many built-up Tacomas you see on the road do not belong to people who identify themselves as overlanders or even off-road enthusiasts. 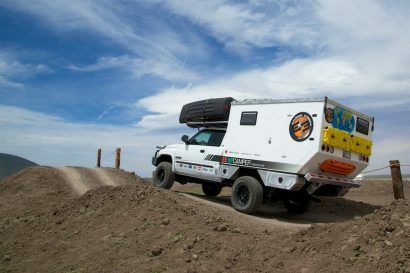 Many of them belong to anglers, climbers, backcountry skiers, mountain bikers, and other outdoor enthusiasts hoping to get to a remote trailhead or campsite. Those consumers are seldom inclined to spend months researching all of the various products as sold through dozens of manufacturers. They’re the people most likely to buy from one source, like ARB. The result is a truck with optimal integration from one component to the next. 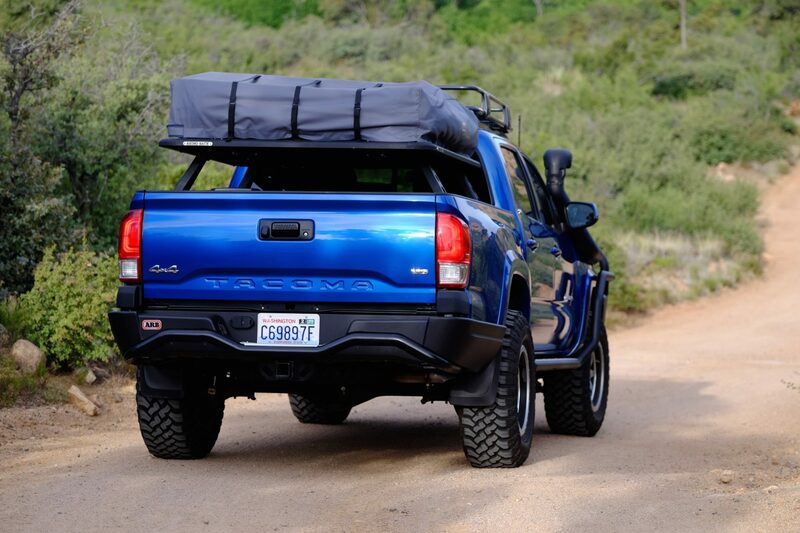 This particular Tacoma probably represents the maximum built-out anyone would desire. I don’t know what more many people would need. It’s also not over-the-top. Each component serves a purpose and works well as a whole. It’s a nice truck. Now, if I didn’t have to hand over the keys, it would be—the perfect truck.